British supermodels Kate Moss and Cara Delevingne are featured for the 'My Burberry' fragrance campaign. The popular models are lensed in a monochrome snap by the noted Mario Testino, and wear the famous Burberry trenches to cover their bare selves. My Burberry is said to offer notes of sweet pea, lemon flower, peonies and freesia, and id created by with perfumer Francis Kurkdjian. 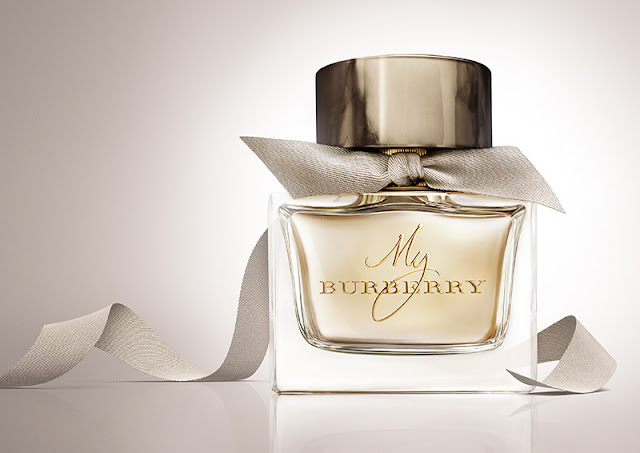 The EDT is a follow of the My Burberry EDP, and comes in a dainty bottle with a bow tied around its neck.